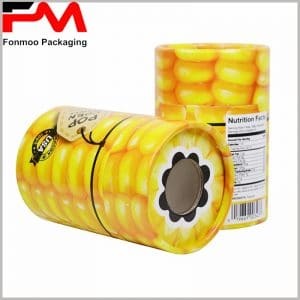 Most of the electronic products using square carboard carton packaging, a small part of the packaging uses tube form. 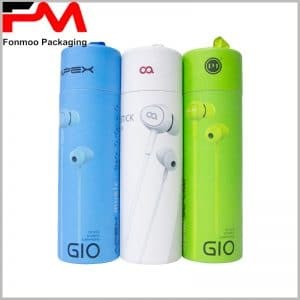 Using tube packaging as an electronic packaging it a breaking to the previous concept, and gained widespread recognition, because of the unique structure of electronic packaging, it can get access to greater brand awareness. Inside the tube boxes package, we use EVA or inner cardboard as the inner package, which have a good effect on the fixation and protection of electronic products. 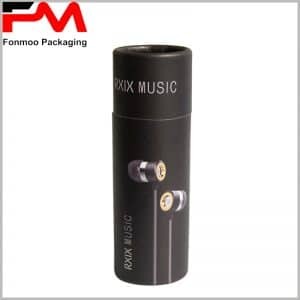 The tube boxes we provide can be widely used in electronic cigarettes, children’s smart watches, audio and other electronic products; high-quality custom cardboard round boxes packaging makes your product sales getting greater advantages. If you need custom electronic packaging, please feel free to contact us, we will provide you with more than 30% discount, because we are packaging manufacturers.